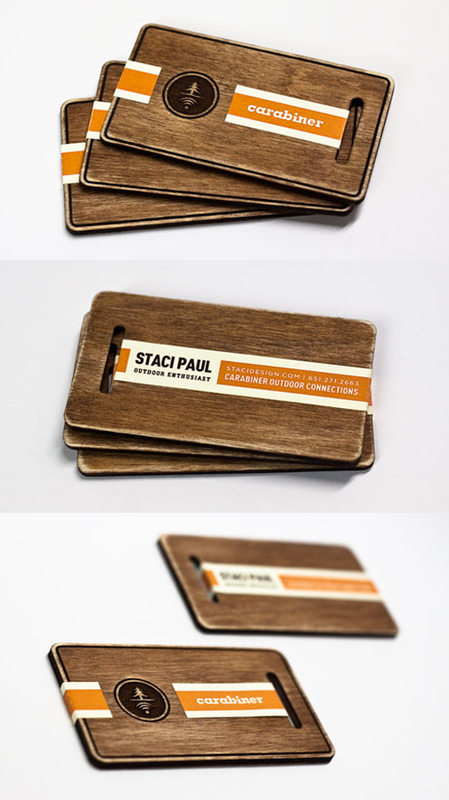 Laser cutting is great way to get a beautiful business card made in an unusual material relatively quickly and easily. This designer took the concept a little further and with some extra effort turned a laser cut business card into a small work of art. The cards were cut and etched with some experimentation needed to achieve the cutting without leaving an undesirable burnt edge to the cards. Once the cards had been cut they were all sanded and stained by hand and after this a separately printed paper strip was attached to each card. This was quite time consuming (done on approximately 80 cards) but the end result was well worth it as the cards have a look and feel that goes well beyond a basic laser cut card.